Jute is a golden & natural fibre, also considered future fibre of the world due to its biodegradable nature. In spite of these facts, jute industry underwent varied problems including competition from substitute, lack of modernization of plants & machines, fluctuating production rate and low profitability. Government has taken varied steps to tackle these problems and gradually get succeed in its work. Today, jute is one of the prominent industry, contributing major export rate of the India. 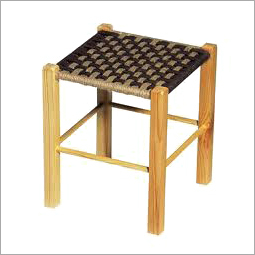 Among variegated products available in the market, jute stools are widely demanded in the rural areas as well as international markets. These are made by weaving the jute fiber and then binding it with the structure built up of either wood or metal. Stools made of jute themselves reflects the dedications of artisans through their neat weaving, alluring designs and splendid finishing. Experienced craftsman make use of latest weaving tools to develop these jute stools in a perfect amalgamation of ethnic & modern designs. For meeting the diverse preferences of choice of patrons in market, varied jute stools manufacturers offer these in variety of sizes, shapes, designs, patterns and color shades. Today, jute stools are widely demanded in the market due to their extensive use in variegated commercial and residential establishments. One can found use of these jute stools in varied farmhouses, homes, restaurants and patio or garden due to their aesthetic looks, seamless finishing, durability and excellent tensile strength. These lightweight jute stools are easy to move from one place to another, hence find their extensive on varied picnic spots.